BBC Chartering announces the launch of a new direct sales channel for transportation services targeting the global yachting community, effective immediately. The service is branded “BBC Yacht Transport” and brings a new, unmatched proposition to the yachting world by marketing the world’s largest multipurpose and heavy lift fleet capacity to the sector. With currently more than 160 vessels trading globally, BBC Chartering offers yacht shippers the highest regular sailing frequency for heavy lift vessels in the market. This set-up caters for any transport need of the yachting community: unlimited mobility for managers and owners, competitive supply chain solutions for manufacturers, and remote destination solutions for any type of yacht. 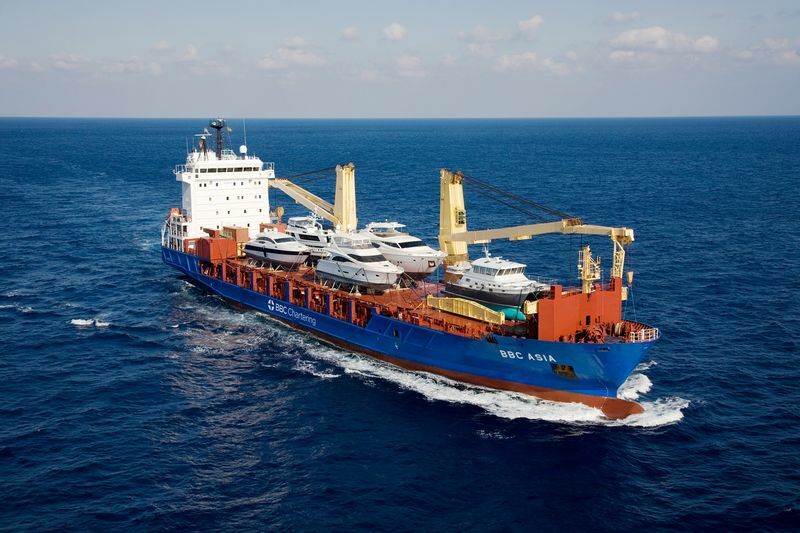 “With BBC Yacht Transport, we are pleased to offer yacht customers a safe and hassle-free service, a new level of flexibility, reliability and global reach. Our mission is to make yacht transport easy and offer the best service in the most convenient way,” says Bas Bos, Sales Director of BBC Yacht Transport. BBC Chartering is the market-leading provider of ocean transport solutions for general, breakbulk, heavy lift, and project cargo. BBC Chartering operates the industry’s largest project chartering network, the market’s largest fleet of project carriers, and delivers integrated services for single cargo transactions, sophisticated transport projects or strategic volume contracts.